Sweating is when warm moist air meets a smooth, cool surface. 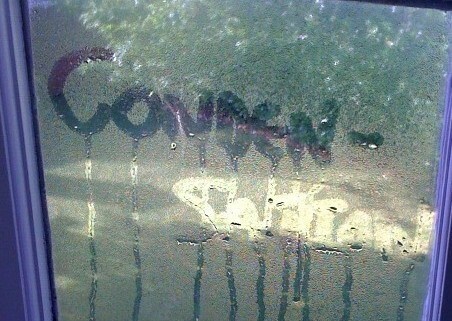 This is also known as condensation. It is the same process that causes the outside of your glass of Diet Coke to become moist. If you have a problem with the windows in your home sweating, you may think the problem is with the windows. However, that may not be the case. A simple wall hygrometer can tell you the humidity level inside your home. Humidity levels in your home should be between 30 to 50 percent (lower when the temperature outside is colder). 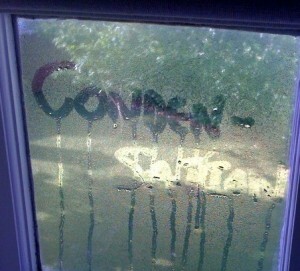 When humidity levels exceed this, you will start to see condensation or sweating on your windows. 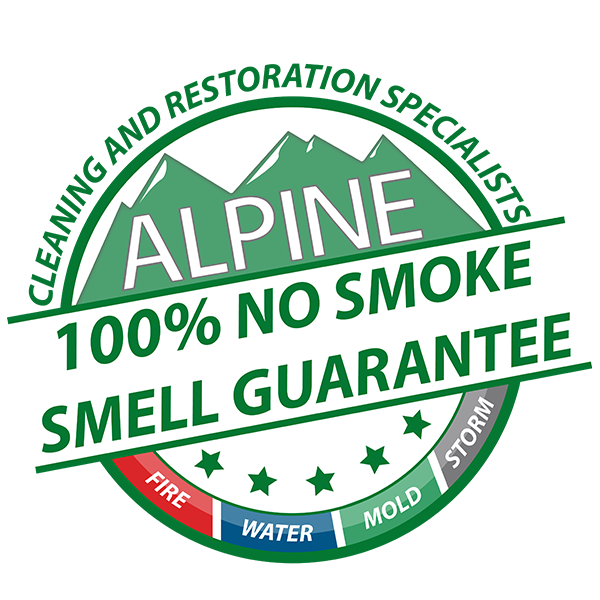 Alpine Cleaning & Restoration has a few simple suggestions below to keep humidity levels in your home lower and to prevent your windows from building up condensation. 1. Open the windows and doors to let your house breathe when the temperature allows it. Poor air circulation and lack of ventilation causes high humidity. When you open a window or door, it equalizes air in your home with the outside. 2. Check that your clothes dryer exhaust hose is free of debris and that it is properly vented to the outside and not the attic. Ensure that vent ducts as short as possible and seal them with foil/duct tape or caulk to ensure that the moisture exits your home. 3. Always turn on a fan when cooking. Also try to minimize cooking times. 4. When showering turn on the exhaust fan and take shorter showers with cooler water. 5. Place a fan blowing onto the window to evaporate the liquid and put it back into the air. Of course, this will only work as long as the fan is turned on. You can also wipe the windows to remove the moisture. 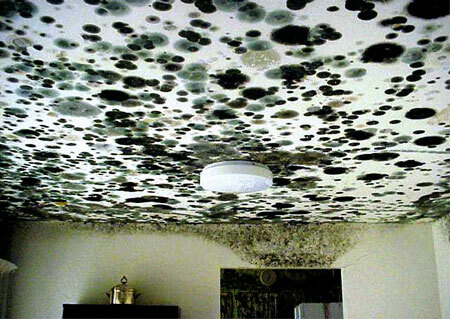 This will help prevent mildew or mold from growing. 6. Cover windows with plastic film or interior storm windows. Doing so will provide a layer between the moist warm air and the cold surface. 7. Setting your thermostat lower will reduce the temperature difference between the air and the glass. Temperatures between 66 to 68 degrees are most effective. 1. Install exhaust fans in your bathrooms, kitchen, and laundry room. If possible, install a timer that will keep the fan running for 15 to 20 minutes after you shower to remove any excess moisture. A timer can also be used in the laundry room as well. 2. Invest in double paned windows and/or storm windows. If condensation is still prevalent despite new storm windows, then you need to caulk or weather strip around the two windows. 3. Seal the areas around your window using caulk, then spray foam or weather stripping to close any gaps. 4. Reduce the number of aquariums and plants in your house–both add moisture to the air, increasing humidity levels. If possible, water the plants in your home less often. 5. Invest in a dehumidifier with a humidistat to keep the humidity in your home between 30-50%. Dehumidifiers are great for bathrooms and basements where humidity levels are highest. 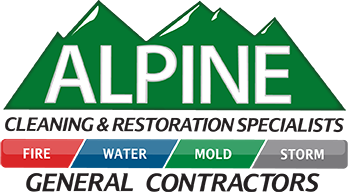 For problems with wall condensation or mold growth contact us at 1-855-4ALPINE to get a free estimate.